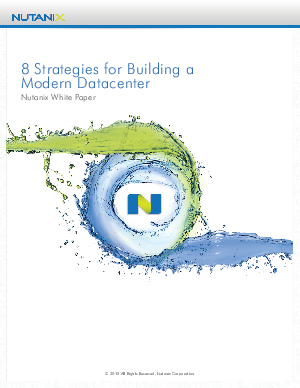 Is your data center struggling to keep pace with growing dynamic business demands? Build a modern datacenter by incorporating advanced technologies and improved infrastructure for better performance, scalability and significantly reduced expenses. Download this white paper to learn eigh fundamental strategies that lead to a more efficient, manageable and scalable datacenter.